I was first introduced to the benefits of using Argan oil when my youngest son was severely burned in a campfire accident. I dutifully applied Argan oil to his healing skin and his rehabilitation therapist and I noticed a significant improvement in his keloid scarring. If Argan oil works that well on a healing scar then I was looking forward to trying it on my own skin in beauty products. What is Argan oil and how does it work? Argan oil is a rare Moroccan oil that is extracted from the nut of the L’arganier tree and has been sought by women for centuries for its anti-aging and healing properties. 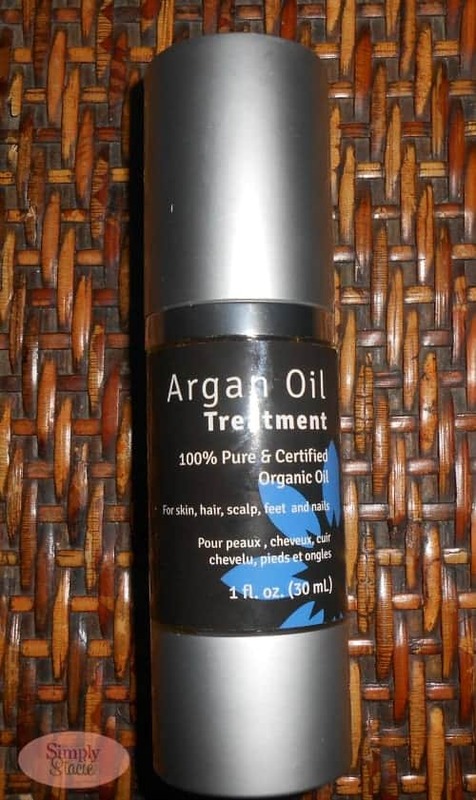 L’arganium™ has a full line of products featuring the highest quality, 100% certified USDA organic Argan oil. The creator, Dr. Joel Abergel is proud to have launched a skin care line that uses only pure serum of this oil instead of a combination of lesser quality oils like that which is used by other brands. Targeting the needs of aging skin, L’arganium™ can be used for the hair, face and body and can also be used for skin problems such as eczema, rashes and psoriasis. I have been using two products from L’arganium™ including Argan Oil Treatment and Argan Oil Cream. The Argan Oil Treatment ($32 for 1 oz) is such a versatile product as it includes 100% pure extract and can be used on my hair and skin. I have a dry, itchy scalp especially in the hot summer months so I applied a few drops of this treatment to the scalp and massaged it in to sit for 10 minutes. I then ran it through to the ends of my hair and put on a cap while I finished my shower. The result was hair that was very soft to the touch and after several treatments I no longer suffered from a problematic scalp. I also add one or two drops (a tiny bit will do the job) to my areas i.e. hands and elbows that suffer from eczema and I apply a dab to Jacob’s scar every day to keep it soft. Argan Oil Cream ($18 for 4 oz) is 100% pure and certified organic Argan oil (20%) cream that is incredibly hydrating and soothing on my dry skin. It has a wonderfully refreshing natural scent from Lavender, Orange Blossom and Patchouli. I use it on my dry, chapped hands and feet and on those pesky wrinkles that are just starting to become noticeable. It can also be used on both the skin and the hair and absorbs with no oily or greasy residue. I also learned that this product can be helpful for those suffering from acne, weak nail beds, wrinkles and stretch marks due to its antioxidant properties. I am very impressed with these two products because it really makes a difference to use a product that contains the pure, organic Argan oils. I appreciate the passion to make this product the best product available featuring Argan oil and will continue to use these products personally. You are invited to visit L’arganium™ to purchase the Argan Oil Treatment or Argan Oil Cream and browse the entire product line. I’d like to try the treatment for the hair. I’d love to try the oil cream on my nails! id like to try the Argan Oil Cream 4 oz. 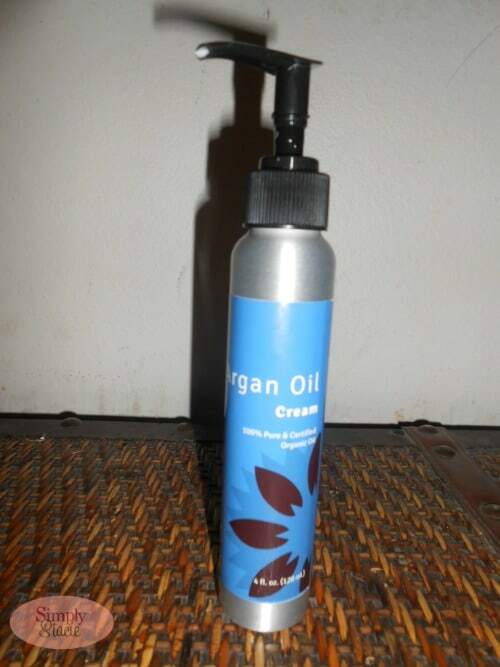 I would like to try the Argan Oil Cream 2.5 oz. I love argan oil! Though on my skin i also like to use Monsia skin cream too. The Argan Oil Cream is my item of choice! I’d like to try the Argan Oil treatment! Argon oil cream for sure! I would love to try the Argan Oil Cream 4 oz! The oil cream sounds lovely. I would like the skin essential kit!! I would love to try the Argan Oil Cream! I would like to try the The Skin Essential Kit. i would love to try the Argan Oil Treatment. I would try the Skin Essential kit! Argan Oil Cream. It sounds amazing. I would like to have the Gift Set so I can try all the products. I would love to try the Argan oil cream 4 oz. I’d try the oil treatment! i need the oil cream on my nails that would be great. I most want to try the Argan Oil Treatment. I love that it can be used on the skin, hair and nails! I want to try the Argan Oil Treatment. I’d love to have the Gift Set. I would like to try the oil cream. I’d love the travel size of the Argan Oil Cream. It would be perfect while I’m on the road. Thanks for the opportunity to win.